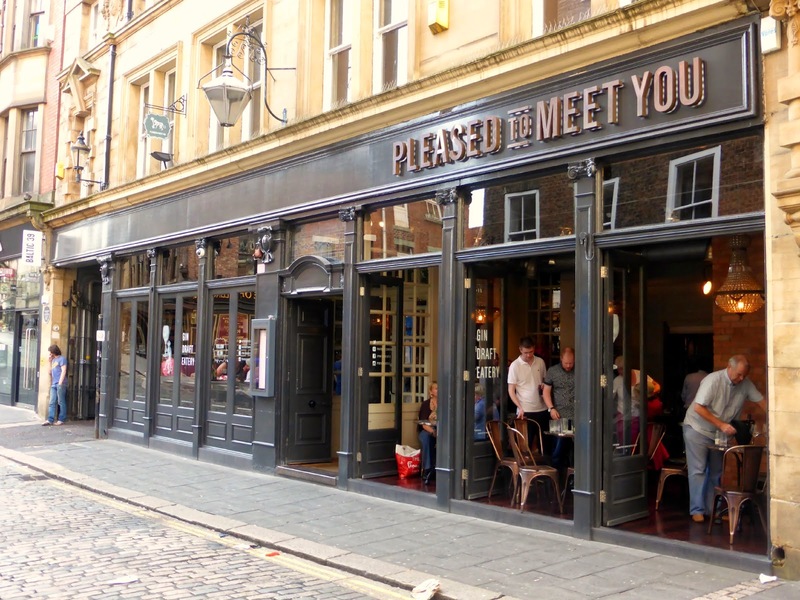 Last Summer saw a new addition to Newcastle's collection of bars with the opening of Pleased to Meet You. Shame on me because it's taken me a full year to get myself there. In my defence in recent months I have strolled down to the bar's home on High Bridge for a post shopping drink but it's so popular it's always been too busy to find a table. So last Friday when I had the afternoon off work and my friend Kate was visiting from Leeds I knew it would be an ideal time to get ourselves through the door of PTMY for some food and drink. My clever plan paid off and although the bar was surprisingly busy for that time on a Friday afternoon we had pick of a few tables and got to choose a rather lovely location by the large open windows, a prime spot for people watching. PTMY is a gin bar and if you love gin it is the best place to be. 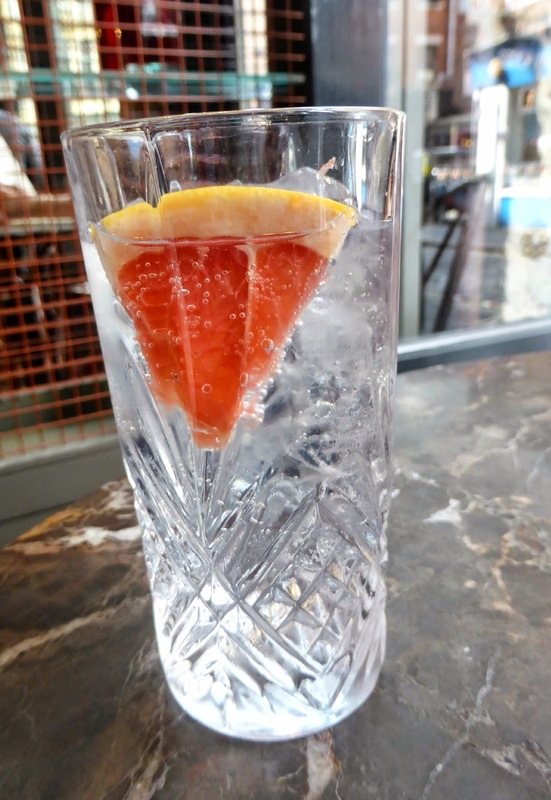 The gin menu is fantastic and offers you the chance to make your very own G&T picking from a selection of Gins, Tonics and Garnishes. 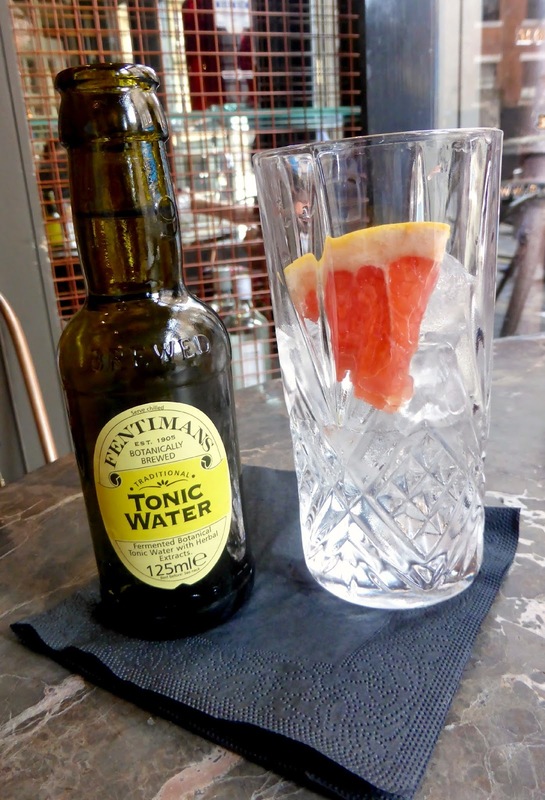 Choosing your own drink combinations is so much fun, but being a bit of a novice when it comes to Gin I decided to go for a combination recommended at the top of the menu - Hoxton Pink Grapefruit and Coconut Gin with Fentimans Tonic and garnished with a slice of Pink Grapefruit. I absolutely loved it, it was so fruity and refreshing and a great introduction to Gin. Maybe next time I'll be a bit braver and try making up my own drink. 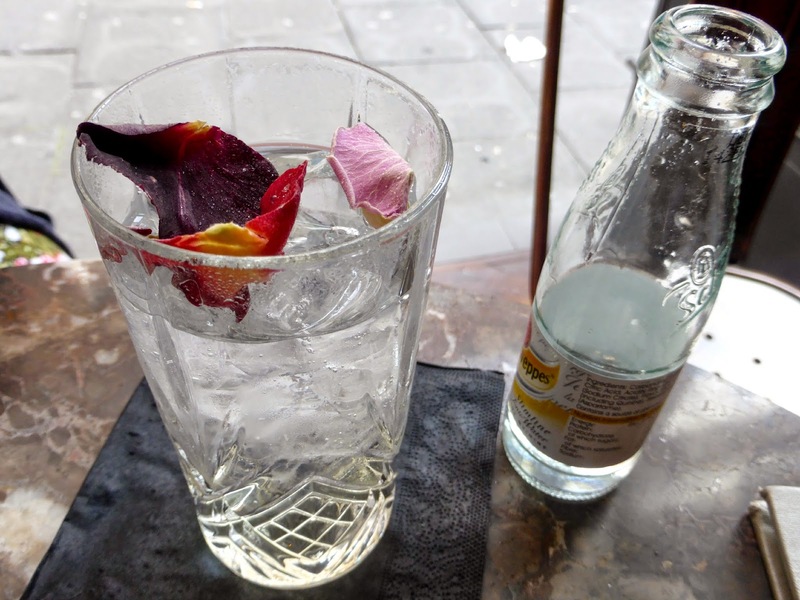 Kate was a little more adventurous than me and poured over the menu with great delight before choosing Edinburgh Elderberry Gin, Schweppes Slimline Tonic and Rose Petals to garnish. Her drink looked beautiful, resulting in poor Kate losing her glass for a good 5 minutes whilst I attempted to photograph it. 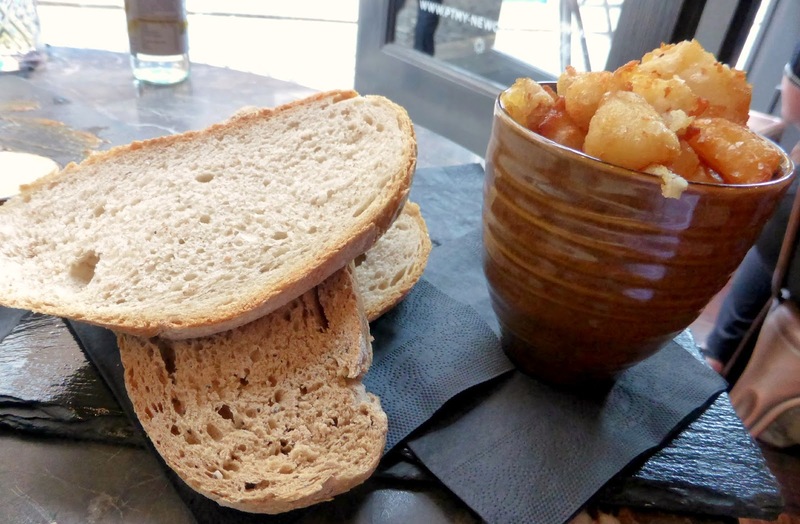 Over the last year I've heard fantastic things about the food at PTMY so was looking forward to getting some delicious scran into my rumbling tummy. The menu is small but stuffed full of absolutely lovely sounding food. It took me a while to decide what to have before settling on the Steamed Mussels in white wine and garlic served with fries and locally baked bread. 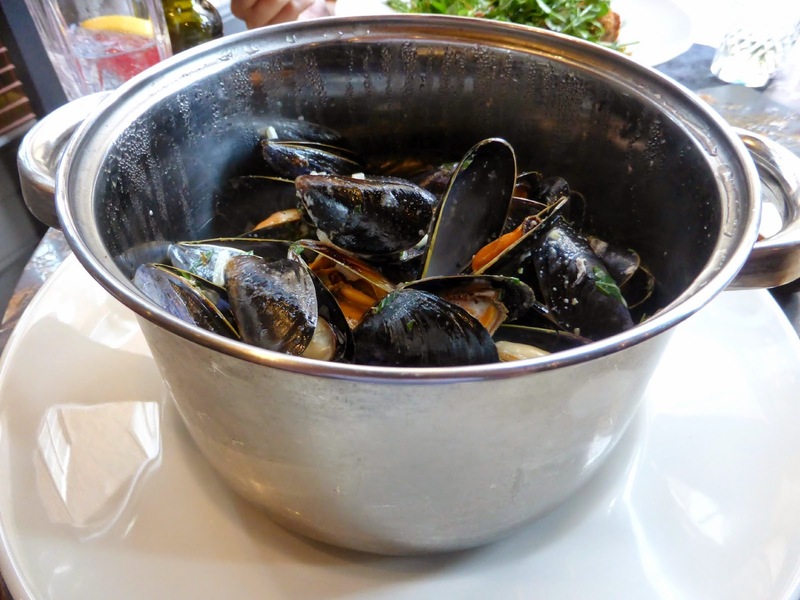 It was definitely the right choice, I was brought a huge pot of mussels that tasted amazing and the little accompanying board of bread and chips was pretty much my idea of heaven. A really generous portion of food and great value for money. I will definitely be returning I can't wait to introduce Simon to the G & T menu and I've heard so many fantastic things about PTMY's Sunday lunch that I know we'll definitely have to try that some time soon. My Boyfriend work's here haha :-) Lovely little place! Never had the mussels but they look great! Those mussels look incredible!! One of my favourite things! And the gin cocktail looks like a great accompaniment. You have to go and give it a try .. I'm sure if you go on a Monday early evening or something it must be quieter? Newcastle definitely isn't hot today ... what heatwave?! There's no heatwave here! Looks great! Gin tip: Caorunn Edinburgh gin with cucumber garnish. Friend got me onto it and it's an amazing combo. 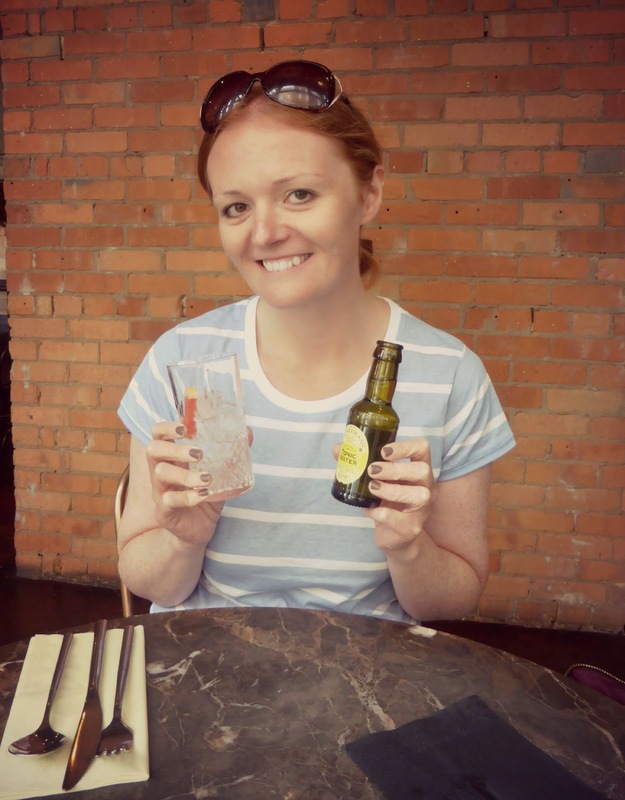 I've been dying to go to PTMY since I saw it a few months and now I'm back up north for a bit I have to go especially as it's a gin bar (I LOVE gin)! OOh looks lovely! Not fond of mussels but the chips and bread look lush!